Happy Thursday! The weekend is almost here and it is time to bring in 2017! What are your plans and what are some things you're wanting to do different or better in the new year? Why not bring in the new year with a crisp, white smile? If you're one of those people who are into white teeth (I hope you are lol) then I have a solution for you! 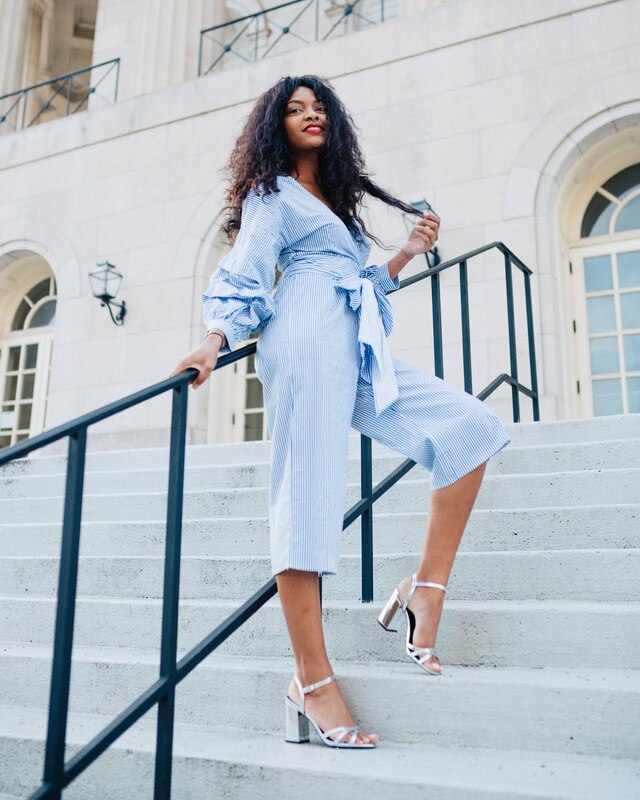 Whitening your teeth can be costly and time consuming and thats why I love this teeth whitening kit that I am using currently because it is very inexpensive, quick, and easy to do! 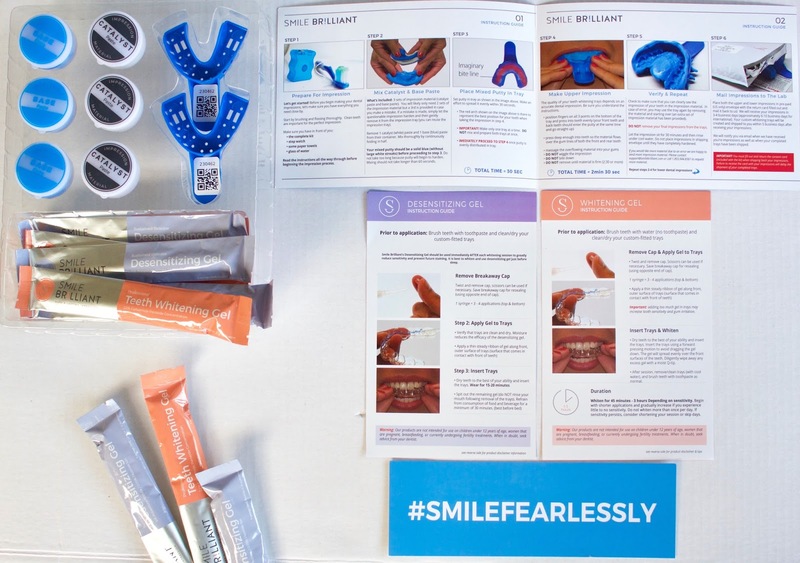 When I first received my teeth whitening kit from Smile Brilliant, the first thing I noticed was how organized it was and how clear the instructions were! The people at Smile Brilliant really put a lot of thought and effort into designing this kit! The first thing I had to do was to take a molding of my teeth and send it back to be processed. This whole process was rather quick and I was whitening my teeth in no time! My moldings (top & bottom) were very sturdy and both fit my teeth comfortably. I have no complaints with this kit whatsoever! Jessica has OUTSTANDING customer service and checks in with me to this day on how my whitening process is going. This is extremely important to me and I am highly impressed with her ongoing communications! The instructions state to use the whitening gel first then to follow with the desensitizing gel but I found this to not be a good thing for me since my teeth are sensitive and my teeth are lacking proper enamel! I told Jessica about this issue and she recommended me to use the desensitizing gel first then to follow with whitening and I must say...this really did the trick! My teeth are less sensitive now but i'm still getting the maximum whitening done too. Also, I do 2 whitening sessions/week as i find that this is what works best for me & my daily schedule! This is what works best for my teeth, but i'm sure you will find a perfect strategy for you! A picture of my teeth before whitening sessions. These are the syringes that com with the kits. My trays have lipstick on them because I sometimes clean whiten my teeth as soon as i get home from being out all day. I actually should clean them (don't judge) going to go do that right now lol. Oh yeah, I keep my trays in this cute little container that also came with my kit! 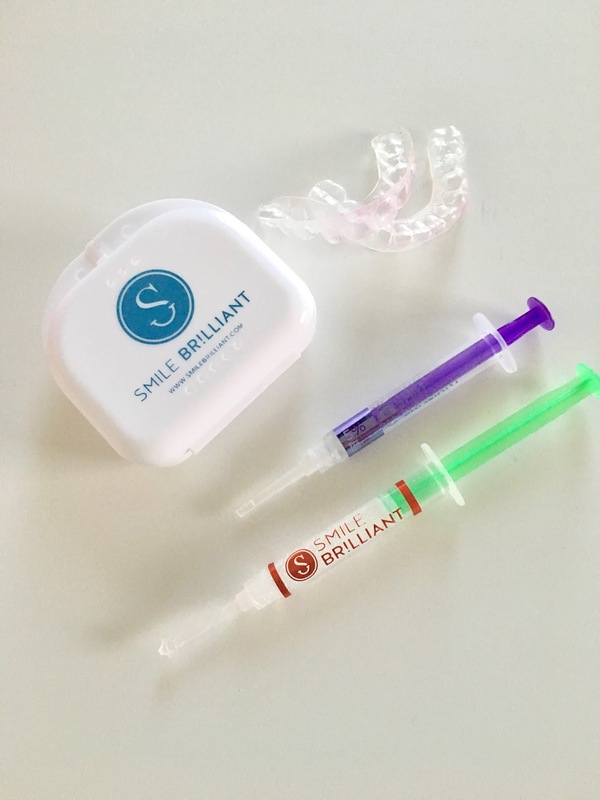 Are you ready to whiten your teeth with Smile Brilliant? Don't procrastinate, lets do the things we say we'll do!